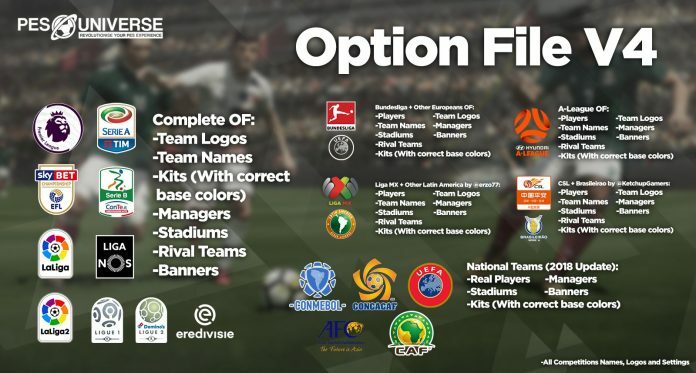 PES Universe has released their own option file for Pro Evolution Soccer 2018. 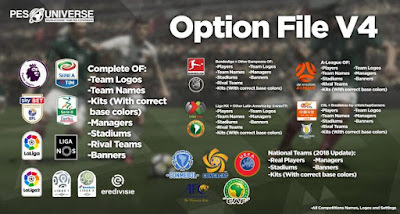 You can expect the quality of their OF since they made one of the best option file for Pro Evolution Soccer game. is it compatible with PC version ?? 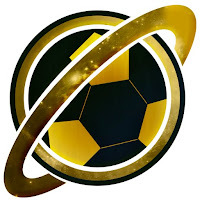 Also works in PES 2016 and 2017?